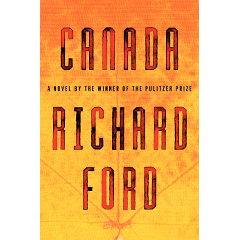 By Richard Ford, 432 pages, published by Ecco the 22nd May 2012 (978-0061692048). If I had only one word to describe this book, it would be slow. I had no much pleasure reading it, so my pace through the book was sluggish. It seemed to be as a collection of events told at infinitely slow speed, where the writer first comments an event and then unfolds it interminably. And while this is a very valid formula for a book, the atmosphere and the events themselves asked for a much hurried development. The prose itself is at moments special, seeming almost magic... among the overall general plainness of the book. I would read long portions of text just to find a hidden pearl, a sentence, a paragraph or two with strength enough to dismiss the penurious reading process of the many pages before. 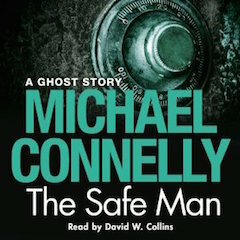 By Michael Connelly, narrated by David W. Collins, unabridged version, 1h 12m, released by Orion Publishing Group Limited the 11th July 2012. A very short story, at just over 1 hour narration, a great demonstration on story telling. I could have missed this book as a Stephen King story: turn pager, nice and careful descriptions, immersing plot, and with the eventual but almost unavoidable excursion into supernatural grounds; in fact, this is my first ghost story from Michael Connelly, and definitely a welcome story, as it is not at all what I would have expected from this author. 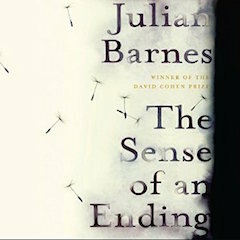 By Julian Barnes, narrated by Richard Morant, unabridged version, 4h 40m, released by Audible Studios the 4th August 2011. A rather brief novel, definitely elegant on its shortness. It is a very interesting book, it makes you think about life -about your own life-: not in a grand manner, just in the way that life passes and there is a meaning to it. In the importance of events, and how those events are evaluated much later, and how the memory plays master tricks on clouding and deconstructing them. And there is a convincing plot, with nicely described characters, but it is its continuos introspection on the human condition, and its invitation to the reader's thinking that makes this read so compelling. 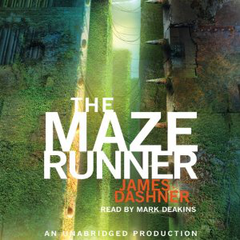 By James Dashner, narrated by Mark Deakins, unabridged version, 8h 55m, released by Listening Library the 11th Oct 2011. The Maze Runner trilogy, severely handicapped on the second book, comes to die a miserable death on its third book. If not the worst book I ever read, the whole trilogy has indeed that honor. The story develops now in a simple, even naive way; the whole book is almost painful to read -I was listening to it and only the good job of its narrator helped me going through-. The whole idea behind the trilogy is in fact almost sound, but the development is a brutal disaster. 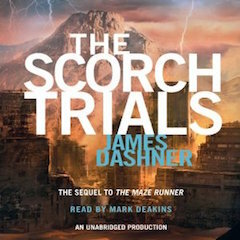 By James Dashner, narrated by Mark Deakins, unabridged version, 10h 22m, released by Listening Library the 26th Oct 2010. While the first book of the Maze Runner series was welcome with a good story, this second book is rather uninspired, played on an apocalyptic world, with just a few original turns. The plot is still fast and flat, but just too simple. The great job of the narrator cannot but highlight the limitations of the book. Even worse, its content is not even needed to understand the whole series: what an exercise on futility! 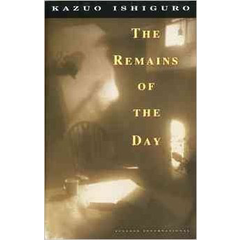 By Kazuo Ishguro, 245 pages, published by Farber & Farber in 1993 (978-0679731726). A pleasure to read, a book that makes you think about your life, through the story of an anachronic English butler. Its reading is very easy, pacing through stories as divergent as the importance of polishing the silver of the house, the meaning of professionalism, or the value of dignity. Stories deceptively simple, but pointing little by little to the final ones, the moment to think about the past life, and what remains. Subtle, it invites to think on the simplicity of the mind, of the lives, the ways of thinking and sorting out the daily challenges. With or without a lesson to learn, it is a fascinating, slow paced read. Highly recommended. 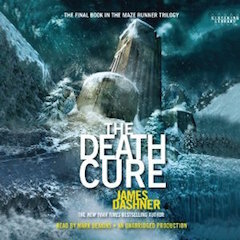 By James Dashner, narrated by Mark Deakins, unabridged version, 10h 50m, released by Listening Library the 10th Dec 2009. Above the story, above the plot, if I had to pin what makes this audiobook so great, I would indeed point to the reader, Mark Deakins. One voice can indeed personate all the characters, but this narration goes way beyond that, giving very careful specific accents and intonations to many characters. Brilliantly narrated. Then, the story: not bad at all. Fast, simple and convoluted at once, definitely not unique or even brilliant: characters are teenagers, rather flat, and the whole interest lies on the pace, on having events at high speed to make for any deficiency on the story. And it works. I fully enjoyed listening to the story, and I am, already, listening to the second book. 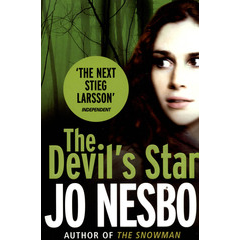 Back to Jo Nesbo and his Harry Hole inspector, who had disappointed me on my previous take (The Devil's Star). Fortunately The Redeemer plot is brilliant, and the writing fluid. The style, even along the same lines of previous books in the series, changes slightly, presenting quite a different view of the characters in the novel, including Hole itself. While all the characters in this series seem artificial, artefacts of a black novel writer, they give in fact some charm to the books. The plot is solid, the pace fast, and the background story interesting; indeed a read to enjoy. 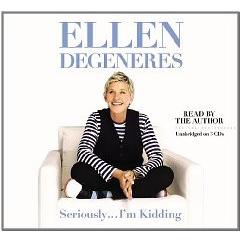 3h 7m audiobook, writen Ellen DeGeneres, narrated by herself, and published by Hachette Audio on the 4th October 2011. Lots of chapters in a rather short audiobook, most of them incredibly short, the rest just a bit longer; some are very funny, others just weird. With all, you wear most likely a brief smile, that becomes a laugh at times. Across the fun, some bits of wisdom, and all together, a nice listening experience. 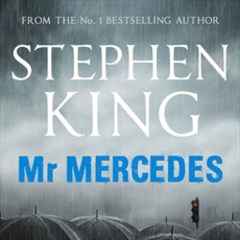 14h 22m audiobook, writen Stephen King, narrated by Will Patton, and published by Simon & Schuster Audio on the 3rd June 2014. 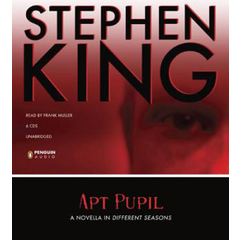 Great things come in pairs, and after enjoying Apt Pupil so much, I decided listening to King again. And, indeed, other jewel on his arsenal, masterly narrated by Will Patton -I find it more and more enjoyable listening to some books, as opposed to reading then, as far as the narrator does this kind of great job. 7h 16m audiobook, writen Stephen King, narrated by Frank Muller, and published by Penguin Audio on the 1st August 2009. As expected from Stephen King, a very well told story, a very interesting plot with personalities that keep changing. If the beginning is ecstatic, it becomes heavy at a moment when the plot turns obsessive, and the pages start turning slower -in my case, I was listening to the story, and still changing CDs at the same speed, although with diminished joy. The plot last for several years, a game between two where Stephen King masters the psychology aspects, and when the story starts losing its grip, the plot's outcome is sudden, a very abrupt end that all but credits the author. The narration is superb, simply a joy to listen. Great book, and a funny one at that; a totally unexpected story with a great narration, and some of the weirdest characters you would find. If something lets the book down is the final patronizing tone, its trying to provide an unbecoming message, which feels like kind of a sermon. Despite this, a sure recommendation! By Orson Scott Card, narrated by Stefan Rudnicki, Harlan Ellison, Gabrielle de Cuir, published by Macmillan Audio on the 23rd August 2008. 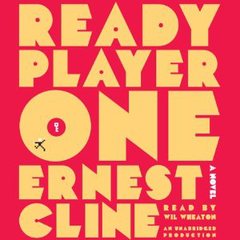 I had read this book several times, but after Ready Player One I felt compelled to give it a new spin, this time in audio format. If the book is as good as I remembered, the narration was rather disappointing. 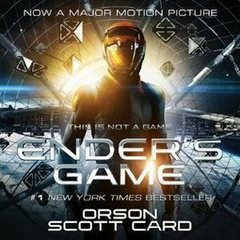 While in many books one single author does the complete reading, there were a few ones reading Ender's Game, yet producing a subpar result. Orson Scott card is in fact one of the readers. much to my dismay -but I don't know which character he was reading, definitely none of the main ones-. 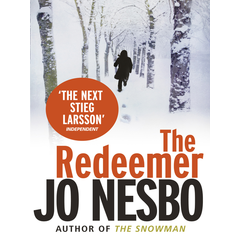 Continuation of the Harry Hole saga, a pure detective thriller with a good story and a well planned plot, but lacking that kind of power that invites the reader to turn pages without stop. Perhaps because of the slow pace and chopped narrative, but it is definitely not an engaging story. I listened this audiobook only while driving my car; I would slow down before reaching my destinations to enjoy the story a bit longer. I would just take the car to drive around and listening to the book being narrated. I found the story fascinating, perhaps because it relates to to a history that I lived, including many of the initial computers, and videogames, although I would not say that it awoke any nostalgia on me. I was never too immersed into games myself, but definitely enough as to very closely follow many of the parts of the book's plot; I was neither too much into music, which also plays a fundamental part in the book. The story is simply great, with all the recursiveness of playing games inside a game, inside another game. It is also well done, from the technical point of view, in the description of a future would, with much advanced technology, but still lacking a proper AI. It is easily the best geek book I have read (listened to) in a very very long time; and the narrator, he does indeed a superb job, with all his repertory of voices, putting the right inflections in each passage. Kudos to the author, and kudos to the narrator. 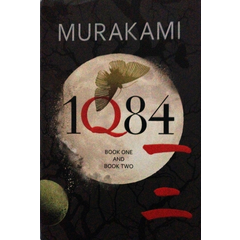 Perhaps not the Murakami's novel that I have enjoyed best, but it still holds many of the ingredients that make Murakami so utterly enjoyable, including a very unique story line and a fantasy World difficult to grasp. The plot is a bit too long, if finishes without a proper climax, and the whole book lacks much of the mysticism that makes Murakami one of my favourite writers, but it is still a great novel and a extraordinarily well told story..
By Karin Slaughter, published by Arrow the 23rd June 2011 (978-0099553106). 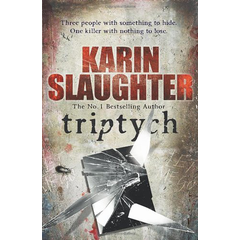 Buying a Slaughter's novel means getting a crime novel and its usual perks. 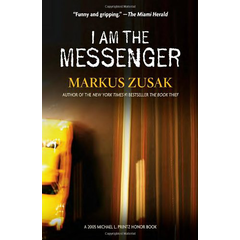 Characters are rather swallow, and that helps the author describing the book from different actors, portraying a completely separated view of the plot, which gives some additional depth to the story. All together, is a good novel, but as many crime ones, not really memorable. By Stephen King, published by Galley Books the 24th July 2012 (978-1451627299). I have never had any interest on the story behind the assassination of JFK, but this book surely awoke it. Stephen King has a great touch to tell stories, and I got totally submerged in this one. The ambiance is immersive, descriptions always deep, characters very alive, and tangled all together, the plots; the story of the assassination and the actors involved -without historic rigour-, the real life of a person trying to derail the murder, the possibilities of time traveling. And 3 of the characters of a favourite Stephen's King book of mine, IT, are featured in this book -call it a bonus or easter egg-. 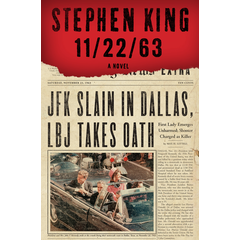 11.22.63 describes the real events -with theatrical enhancements, definitely-; but there is definitely not a lack of suspense in the story, as reality get bended under the pen of Stephen King. It is great story, and just remember: the past is obdurate.